Natalie has been Artistic Director and CEO since 2007. She has led the company into a new era, refreshing the company’s vision to make young people’s activism a key driver of the artistic programme. Natalie is increasingly interested in the civic role of the arts to develop children and young people’s wellbeing and agency. Having overseen more than 20 new commissions at Theatre Centre, her work with playwrights has been largely steered by this mission and has been recognised by the Writers’ Guild of GB with a New Writing Encouragement Award in 2011. Previously, Natalie was Assistant Director at 7:84 Scotland and Associate Director at the New Vic Theatre, Newcastle-under-Lyme, before embarking on a busy freelance career. Her directing credits include productions at Birmingham Rep, Contact Theatre, Nottingham Playhouse, Oldham Coliseum, Salisbury Playhouse as well as at leading Drama Schools and with independent producers. She has a strong track record in LGBTQ+ arts, having programmed, curated and directed work with queerupnorth, Glasgay! Festival, Manchester Pride and her own company, Truant Company. She is currently a Non-Executive Director of Octagon Theatre in Bolton. 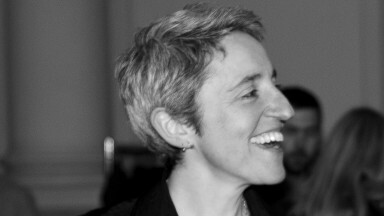 Raidene has been Executive Director of Theatre Centre since 2018, joining at a pivotal time for the company’s development. Raidene is excited to take the organisation into its 69th year of touring high quality and powerful work into schools, embracing the challenges facing the education sector and young people growing up in an increasingly complex world. Raidene was Director of Artistic Programmes at Wac Arts and previously spent five years at the Albany, Deptford, as Head of Creative Programmes. 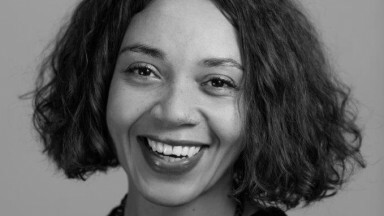 She has also worked for Birmingham Rep, Talawa Theatre Company and the Lyric Hammersmith. She studied Drama and Education (now Drama, Applied Theatre and Education) at The Royal Central School of Speech and Drama and is one of three inaugural MOBO/London Theatre Consortium Fellows (2016). Raidene sits on the Board of Trustees for Mem Morrison Company and The Paper Birds Theatre Company. Lucy has a MA in Drama and Theatre studies from the University of Kent, specialising in Contemporary Performance Practice. After graduating, Lucy worked as a performer and puppeteer touring across the UK. In 2014, she moved to Cyprus and founded UKOS Animal Welfare, a charity helping animals in British military bases around the world. Kat has a BA in Theatre Studies from the University of Kent. After graduating, she joined Omnibus Theatre as Literary Administrator and Marketing Assistant before moving into the role of Marketing Manager. With a keen interest in new writing, she also worked for Broken Silence Theatre as their Marketing Assistant and Co-Curator for their regional new writing event, Voices From Home. Joe has an MA in Theatre Directing from the University of Kent. Upon graduating he was an Assistant Director with the Mercury Theatre and Blink Theatre Company before joining The Queen’s Theatre, Hornchurch as their Learning Assistant. Joe quickly moved into the role of Schools and Partnerships Officer, developing and managing their relationships with schools and educational settings.